Six months or so without PS was to say the least boring as hell. PSP didn't really appeal to me so I decided to go back and do the sub thing for PS. It went up a whole dollar. So instead of frettin' over xion (not worth the headaches) I'm going for Rainmeter. 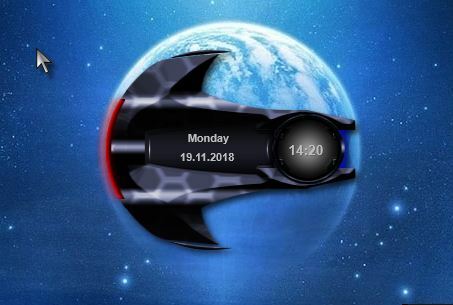 The image below is my first Rainmeter skin called Starship1. Well have fun Ross! I will stick with PS Pro though, been using it since Version 4, and I tried PhotoShop but it was just way too complicated for me.